They're ba-a-ck during a snowstorm! 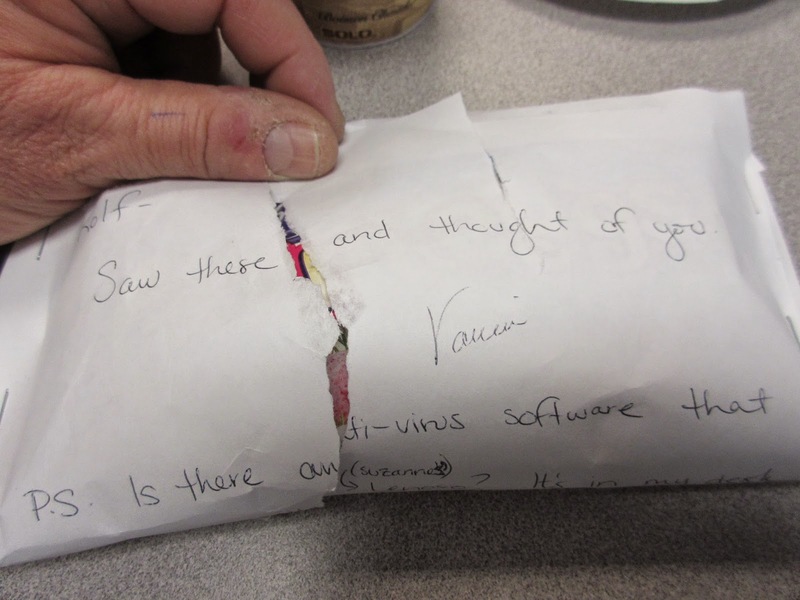 The white paper wrapped item was found in my office with the following note: Saw these and thought of you! What could it be? 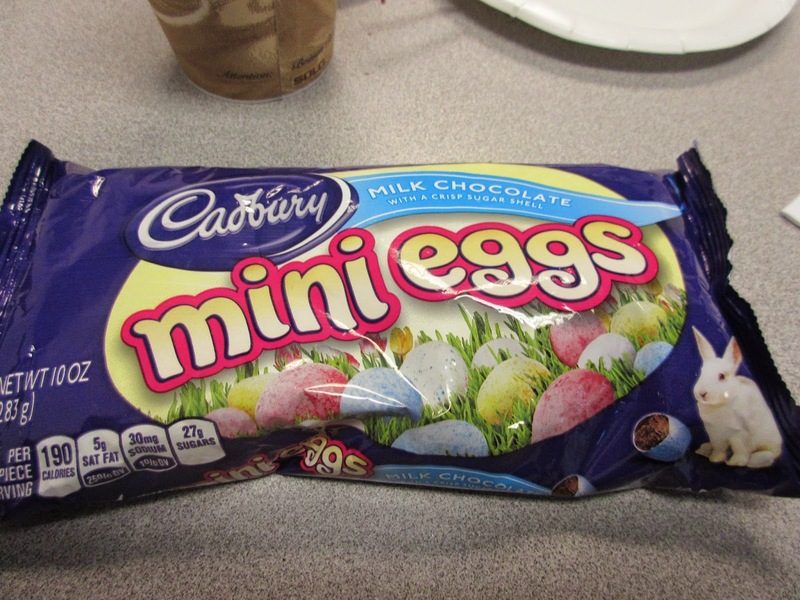 The first appearance in 2015 of Cadbury Mini Eggs - the Easter candy that is probably the best there is. 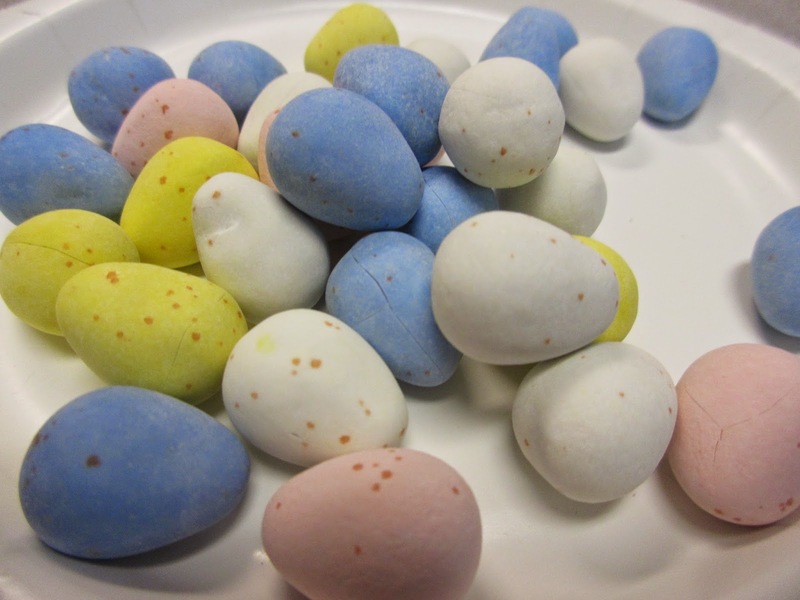 They are a step up from M&Ms with a harder candy shell and better mild chocolate. 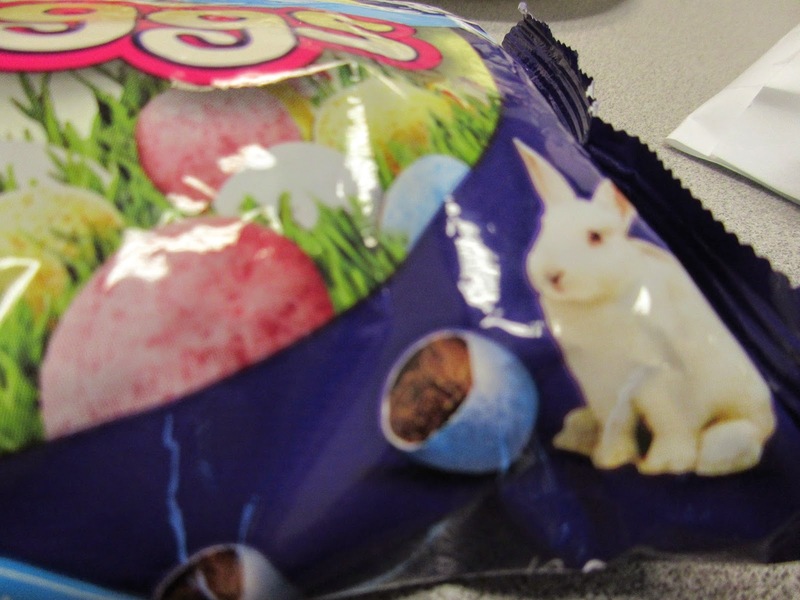 As you can see by the picture of the bunny on the package they are intended for Easter and we take this as a sign that the year is moving forward and Spring is on the way. Is that time of year upon us already? 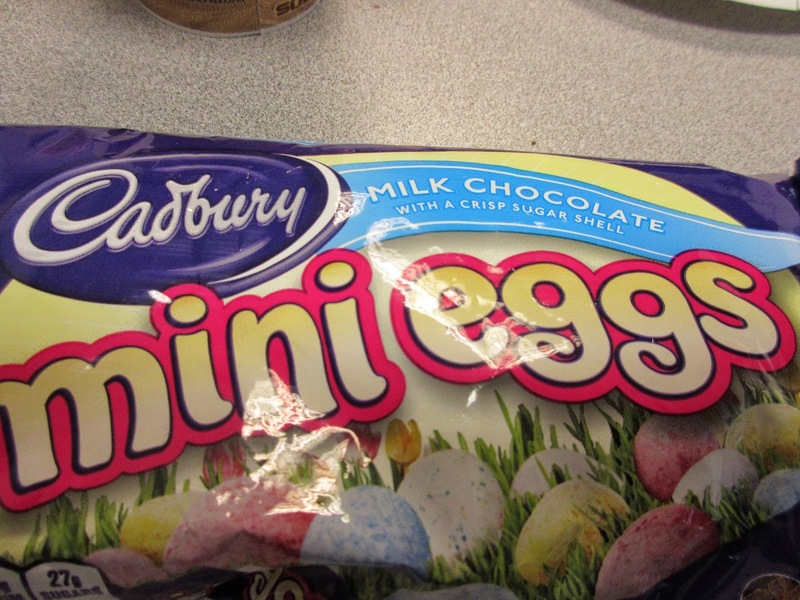 For Cadbury mini eggs - apparently so! Just look at the cute little bunny for Easter! A more deluxe version of M&Ms! We had these for cake hour on a day that was anything but Spring like. A blizzard had begun. 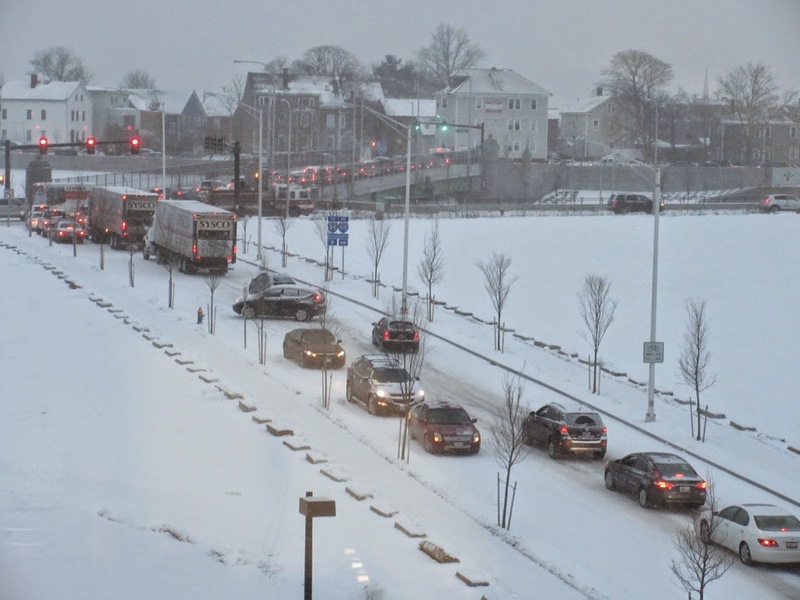 Right outside our building is a road newly opened on the site of the old I195 trestle. The only problem is that when they opened the road they did not activate the traffic light at the end of the street. So it is constantly red. We are getting very amused at motorists stopping at the light for minutes waiting for it to turn green until the finally run it. 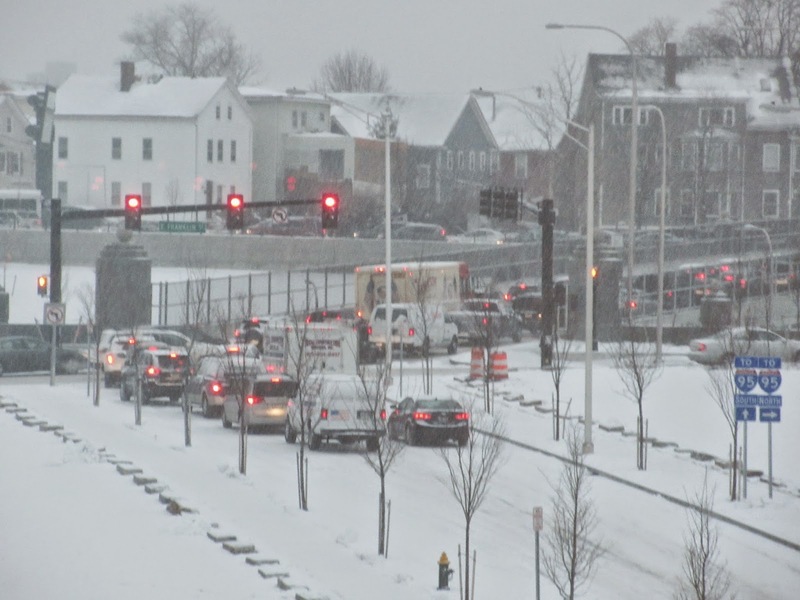 Today the snowstorm made the situation worse as there was some gridlock. 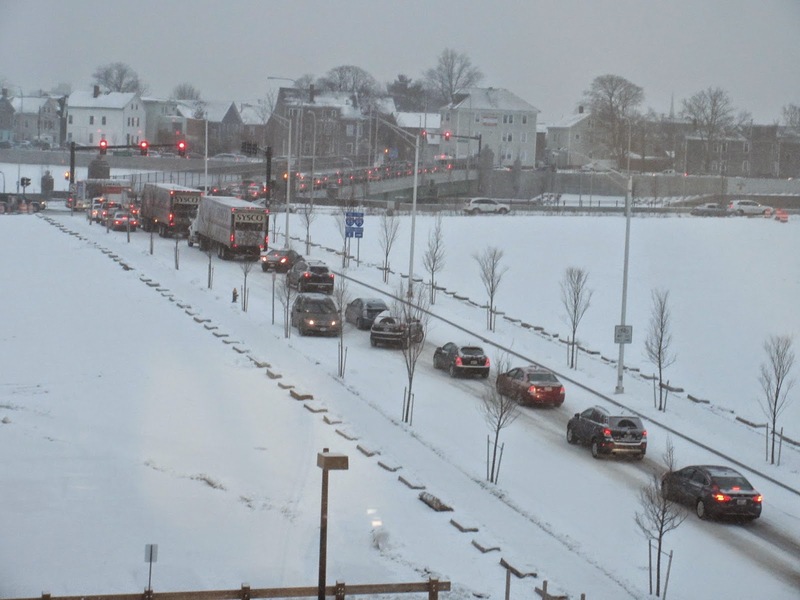 A whole line of cars piled up behind the lead car and a few trucks that went nowhere. Finally the bunch of cars behind the trucks turned around and went back the way they came. We doubt they found an easier road that day but at least they tried. Note to the guy at the head of the line - it won't turn green! The line gets a little long! Nobody moves so they turn around and leave! Being in academic research, we are always trying to get funding. Ideally you would like a long term grant from the NIH that will keep you going for years into the future. For various reasons they have been hard to come by but we had cause for celebration today. 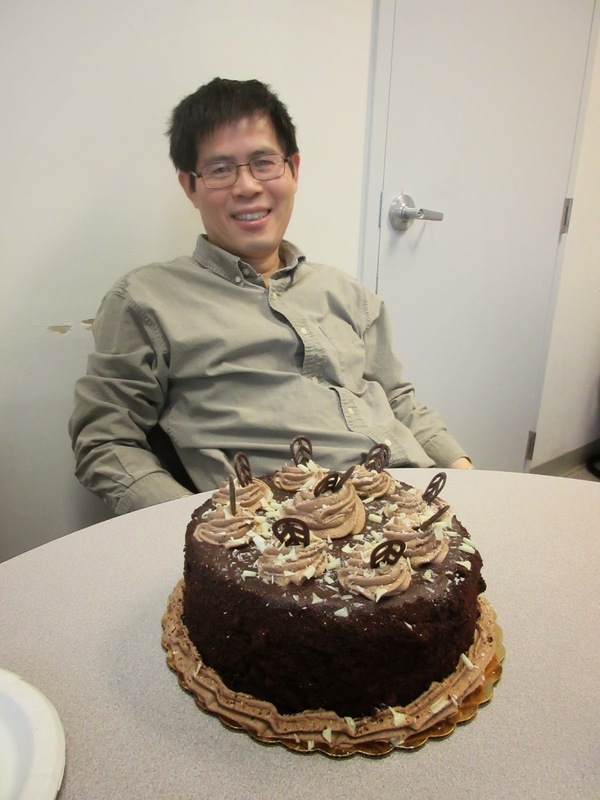 One of our investigators got a five year R01 grant from NIAID - the National Institute for Allergies and Infectious Diseases. This is indeed cause for celebration. Many other labs that have not gotten funding have been sent packing. We are happy we don't have to worry about that for our colleague. We expect nothing but the best! Their version of a chocolate mousse cake! Celebration of success and relief at getting funded! 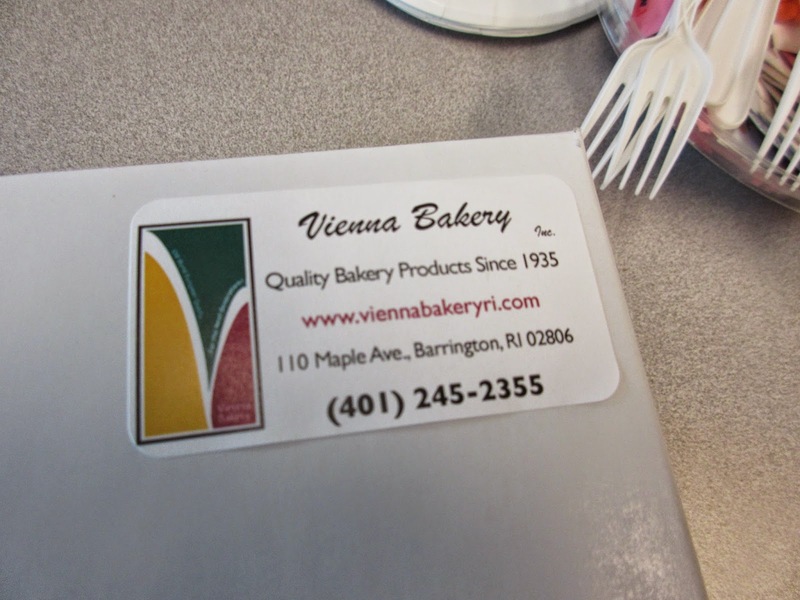 To celebrate be brought in a cake from one of our favorite places, the Vienna Bakery in Barrington, RI. 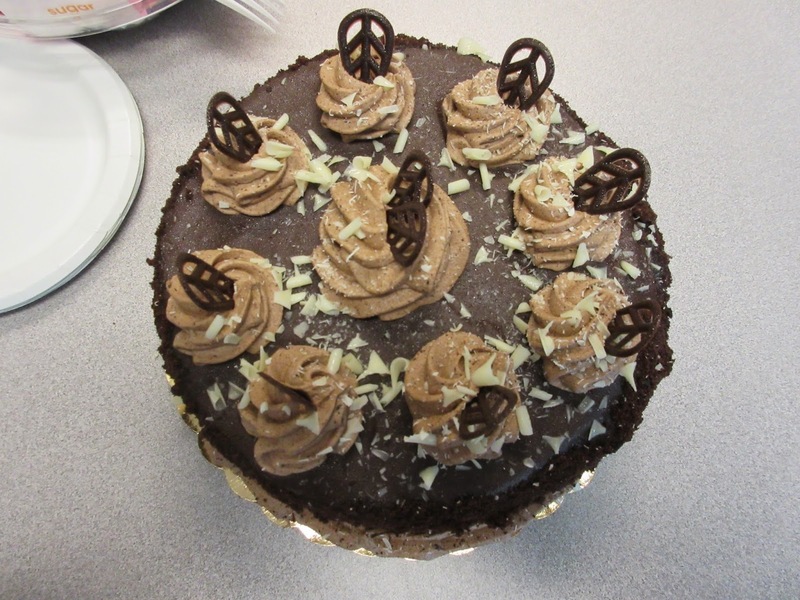 The cake was their version of a chocolate mousse cake. It was very well constructed and nicely decorated. The florets on top were chocolate whipped cream with chocolate leaves as garnish. The top was a layer of frosting and underneath a layer of cake. The bottom was also a chocolate cake layer. 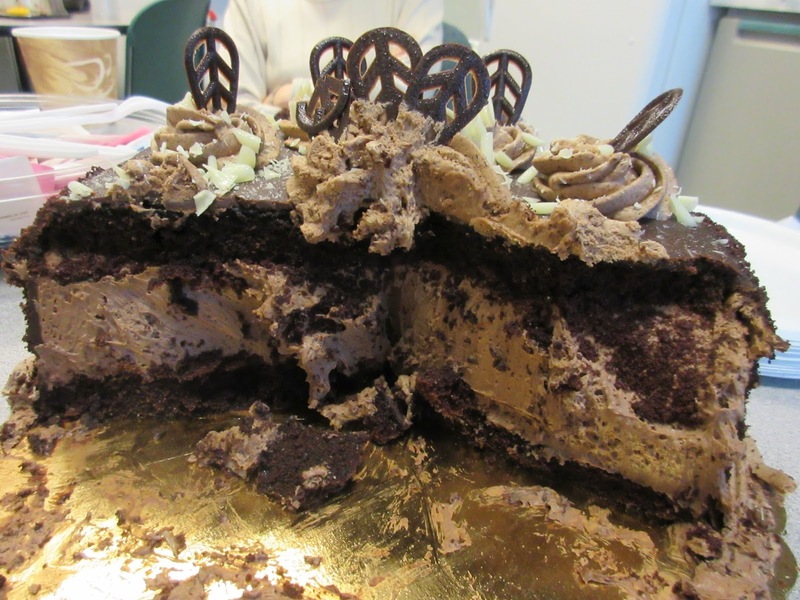 In between there was a thick layer of choco mousse! 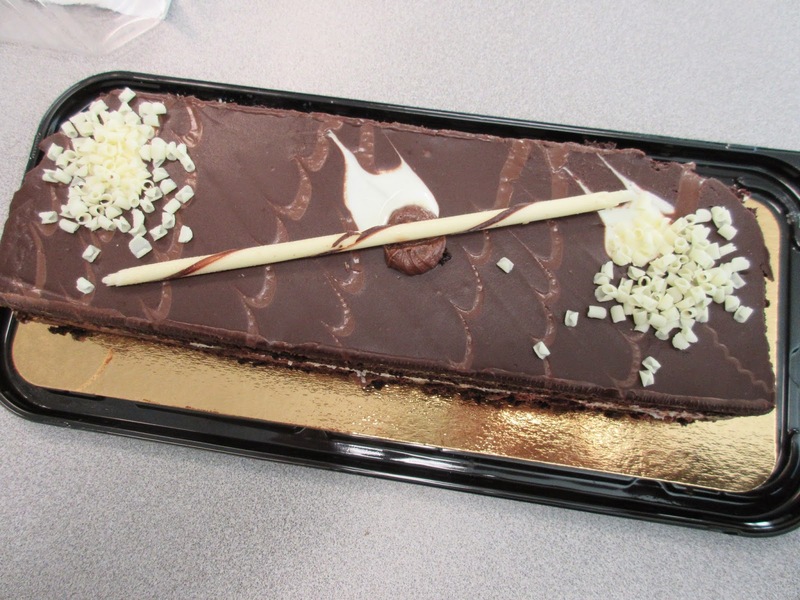 The sides were some kind of chocolate crumble and there was a decorative band of whipped cream along the bottom edge. Looks great from the top! 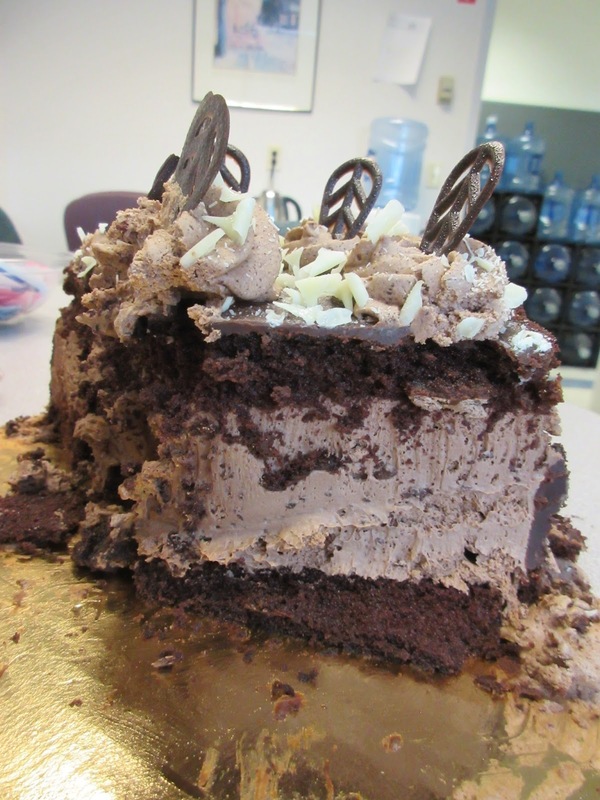 A pretty thick layer of mousse was the filling! This was a nice looking cake that was not all that sweet and not all that heavy. Mousse contains a lot of air after all. It tasted great and we were thrilled to celebrate the success or our pal. We also got two days out of it which was a bonus! Day two and still enough to go around! It is not unusual at all for us to get repeat cakes. 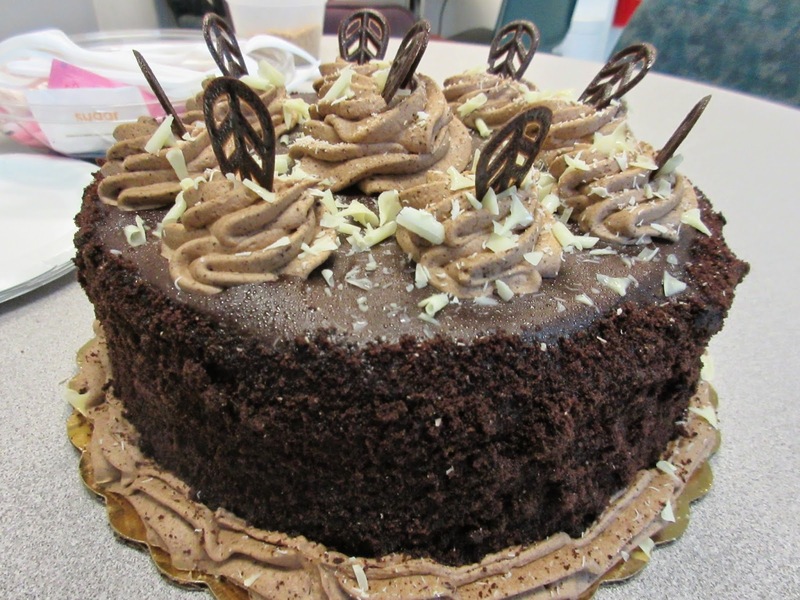 We've had the specialties of several Providence bakeries on many occasions. Also cakes from supermarkets like Whole Foods have return engagements. 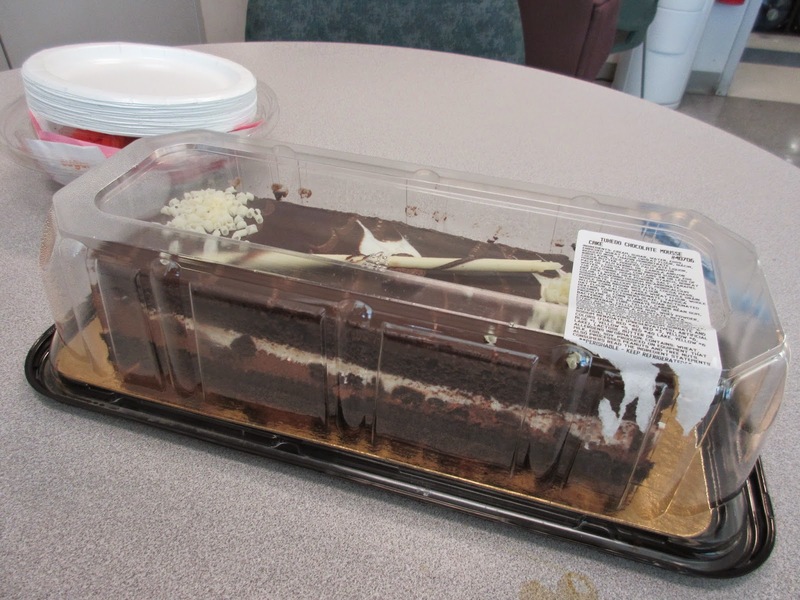 There is one cake that comes from Costco of which there are none in the area. 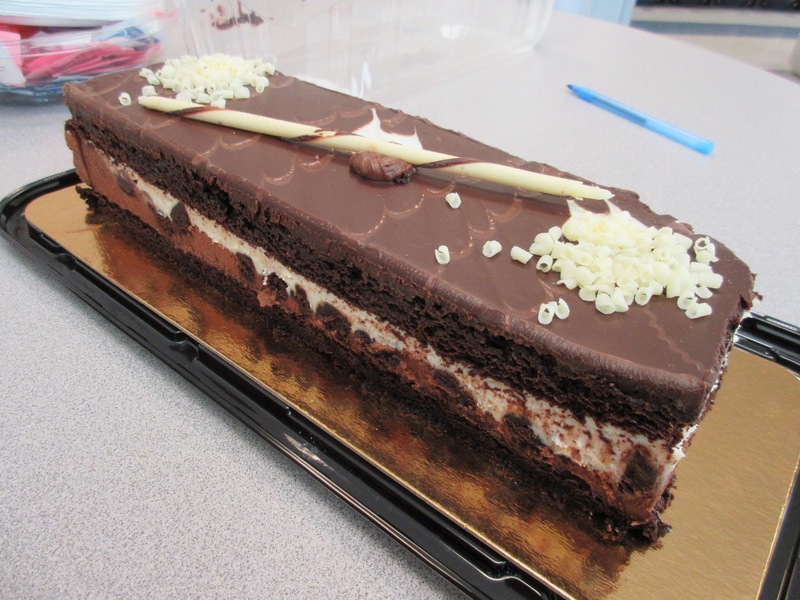 But one of our colleagues paid a visit to family in New York and stopped by Costco and picked up their version of a tuxedo cake. 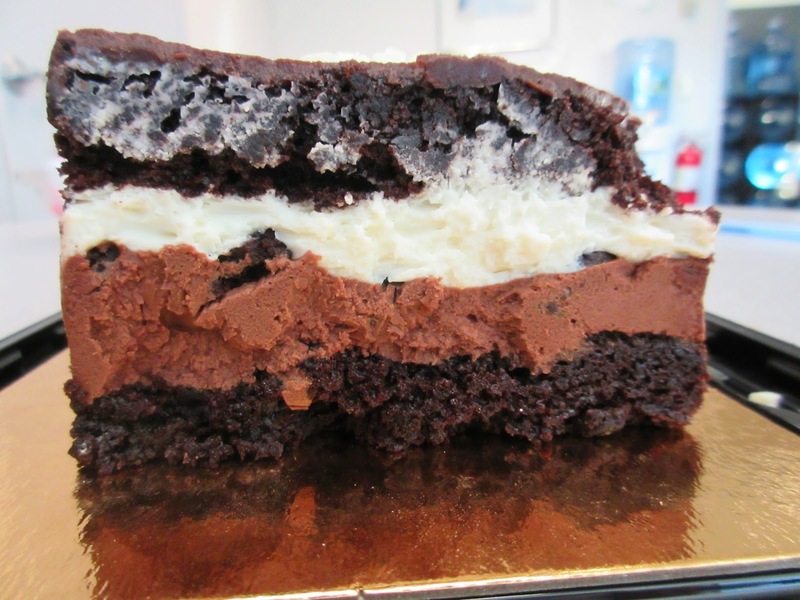 We don't know why it is called a tuxedo cake. 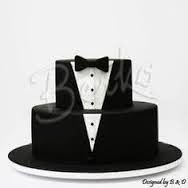 If you search for one you will see lots of pictures of cakes that are made to look like a tuxedo. 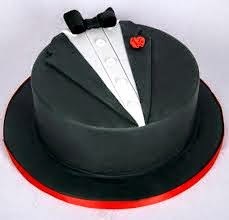 This is a tuxedo cake! And a nice round one - boy what you can do with fondant! But you will also find a number of pictures of what we had today from around the country and all of them make reference to coming from Costco. 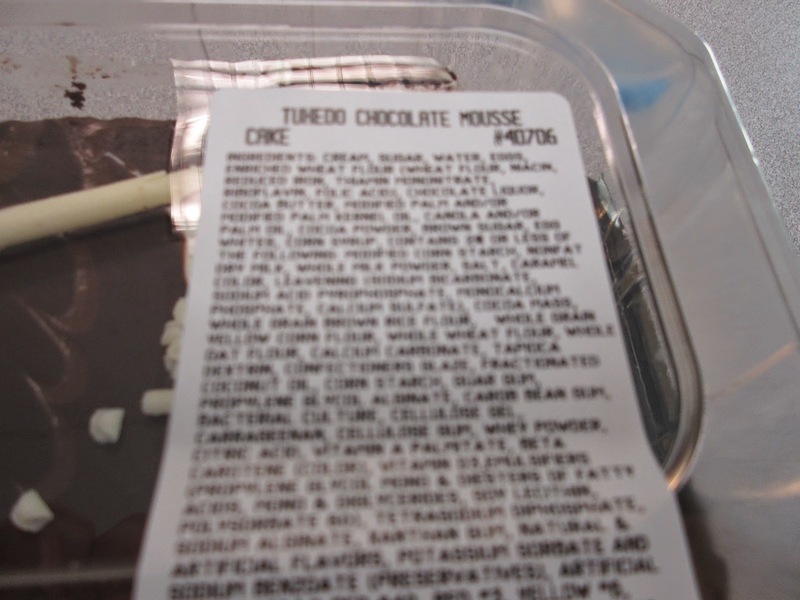 Indeed there is a whole image category Tuxedo Cake Costco. Apparently it is a stock cake item, if there is such a thing, and they sell a lot of them! Looks like a tuxedo cake nursery! 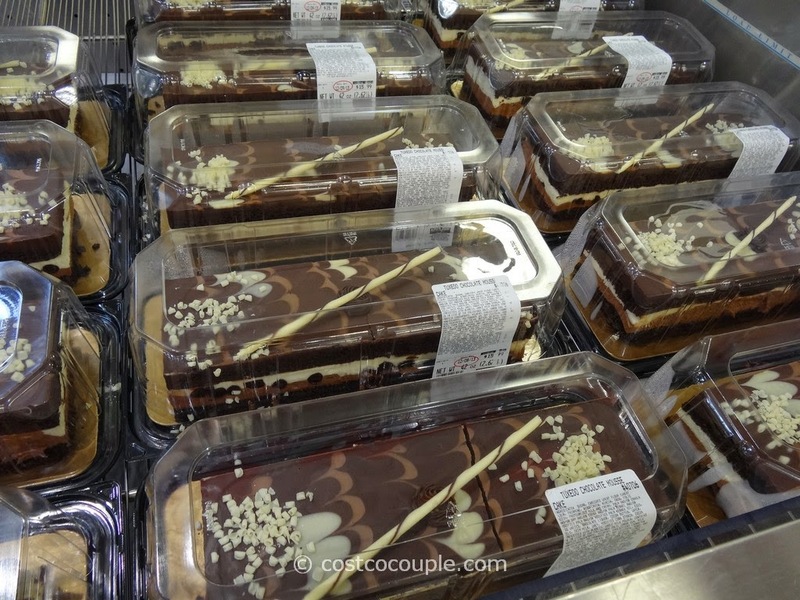 As you can see our cake matches the pictures from the stores so we know it is the real thing! It is a good cake with many layers with different color fillings - white chocolate mousse, milk chocolate mousse and dark chocolate mousse, we presume. It is usually moist but not heavy. Like most American products it tends to the sweet side but it is not overwhelming. Fresh from the shelves of Costco! Long and rectangular is their version! White chocolate droppings - er, shavings and a spear to match! 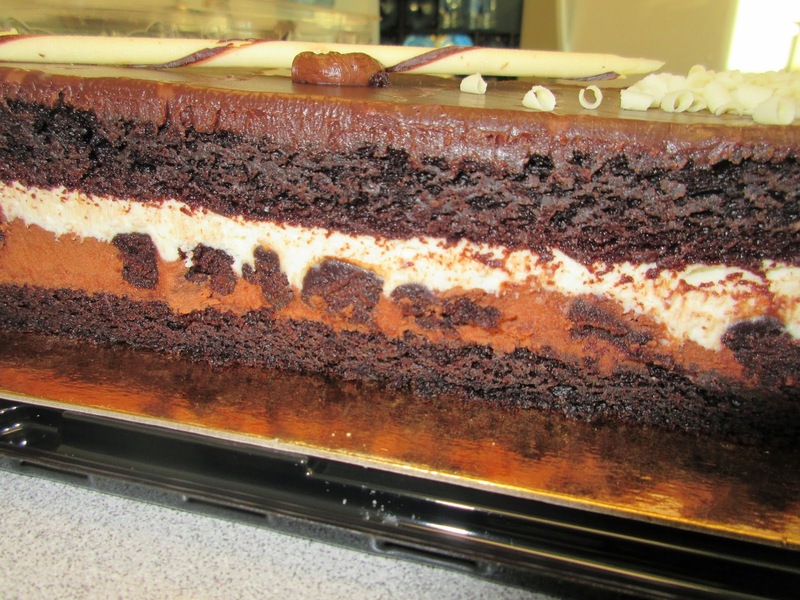 Stratified layers of cake and mousse! Three different types of mousse make a nice effect! We are happy to have this again and since there seem to be plenty on the shelves of Costco we'll look forward to another one sometime in the future!